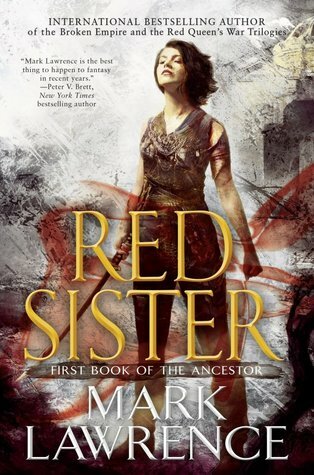 Red Sister by Mark Lawrence. Ace, 2017. 432 pages. Look, when I heard the phrase 'assassin nuns' to describe this book, it was pretty much a given that I would have to pick it up. And then adding in the fact that this book is full of badass women who don't need a damn thing from anyone but themselves? Why yes, I do believe I'm down for that. Red Sister is a character-driven story focusing on Nona, a young girl who ends up at the Convent of Sweet Mercy, where young girls are trained to be killers. Nona is a fascinating character, and her development is extremely gradual, written in a way that makes it extra rewarding each and every time a new facet of her personality or attitude is revealed or developed. At times, I did feel somewhat distant from her, but in a way I feel that that reflects that distance that Nona places between herself and others. She is naive in regards to relationships with other people, but not naive in the sense of power, strength, and fighting, which made for a very interesting take on this character. Nona is, overall, an incredibly loyal person, and I love that. As independent as the girls in this book are, the themes of trust and friendship run extremely deep. In regards to other characters: there are a lot of them. I will be completely honest and admit that I did mix up a few of them now and again--especially some of the lovely adult nuns. Their names were just too similar and not descriptive enough for me to keep them all straight. Regardless, I was still able to figure things out and enjoy the story. There is also a lot of training in this book, so for those of you fantasy fans that love to read about the training aspect of assassins and magic and the like, this is perfect for you. If that's not your thing, then certain aspects of this book may drag a tiny bit for you--but to be completely honest, Lawrence's writing is so well-done that there is nothing mundane about these scenes. 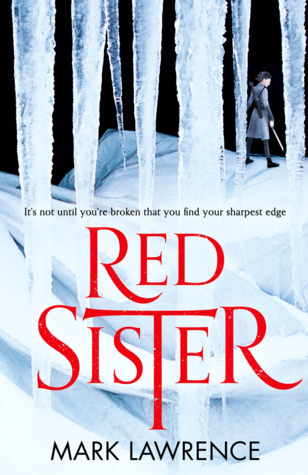 Red Sister is definitely a slower book that really depends on the build-up, and it took me a very long time to figure out what the real plot of this book was going to be, as the meat of the story doesn't really show up til more than halfway through. Some aspects of the magic ("the Path") were a bit confusing to me, but I'm not sure if that's just because I am easily confused with complicated magical fantasy stuff or if that is on purpose or if that is an issue with the book. I really honestly don't know, so I'm just going to leave it at that. I was still able to have a great time with this book, though, so it didn't impede the experience too much. Overall, the world-building is fantastic and I am particularly excited to find out more about the magic, world, and characters as this trilogy continues. For these reasons, I have given Red Sister four stars!